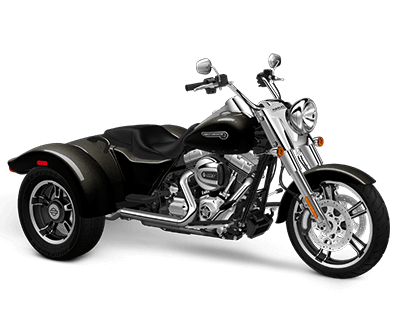 The Harley-Davidson® Trike model lineup is like nothing else on the road. These three-wheeled Harley-Davidson® models provide confidence for riders old and new, along with easy handling whether you’re maneuvering around town or on the highway on a long-haul road trip. 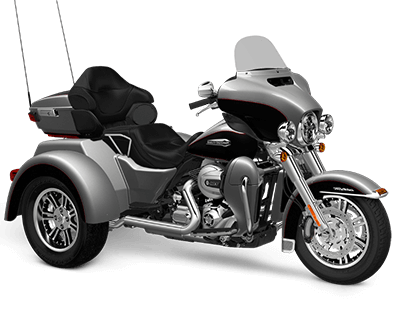 It would be hard to imagine a more appropriate vehicle to take from Overland Park, KS on a cross country tour than the Harley-Davidson® FreewheelerTM or the Tri Glide® Ultra. Both are now equipped with the brand new Milwaukee-EightTM 107 V-Twin engine for more power, more durability, and a better ride quality, making these trikes better than ever! The FreewheelerTM is a classic Harley-Davidson® Trike powered by the all-new Milwaukee-EightTM 107 V-Twin. This engine offers plenty of muscle for passing at highway speeds even when loaded down with all your touring gear. The FreewheelerTM is also easy to handle thanks to 12-inch apehanger handlebars that get the controls close to you, along with a standard cruise control feature, ergonomically designed hand controls, and an electric reverse feature mounted right on the bars. For awesome long-haul comfort, the FreewheelerTM also gets air adjustable rear shocks, in order to let you dial in your preferred level of cushion. That’s comfort you’ll appreciate on the rough roads near Overland Park. The FreewheelerTM also gets pure Harley-Davidson® style, with enforcer cast aluminum wheels, tank and fender badges, distinctive metal fenders and body work, and more. Finally, the unique locking trunk system, which is an industry first and one-of-a-kind, offers easy one-hand operation with space for two full-face helmets. 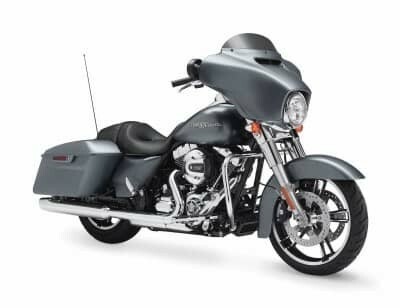 The Tri Glide® Ultra Trike from Harley-Davidson® is the motorcycle answer to a full-size luxury sedan – this three-wheeler is all about comfort, convenience, and long-range riding pleasure. This is a touring machine through and through, and if you’re planning a lot of big rides, you might want to try out the Tri Glide® Ultra. It gets lots of rider-friendly design elements like the super bright DaymakerTM LED headlamp and LED fog lamps, rear-to-front linked brakes, a wide set handlebar, standard cruise control, back and arm rests, and a large fairing to reduce head buffeting. The Tri Glide® Ultra also features an innovative infotainment system with lots of connectivity and music options. This system is capable of producing tons of volume at 25 watts per channel. 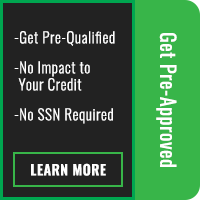 It comes with a 6.5-inch full color touchscreen with voice recognition and Bluetooth connectivity. It also includes a USB port, satellite radio, and smartphone integration.